Cyprus, a small Mediterranean island located near the Middle East, has been an appealing destination for nature lovers for many years. Known for sublime stretches of sand, rugged wine-growing regions and dramatic cliffs, it is unsurprising that the region is littered with an array of natural wonders. 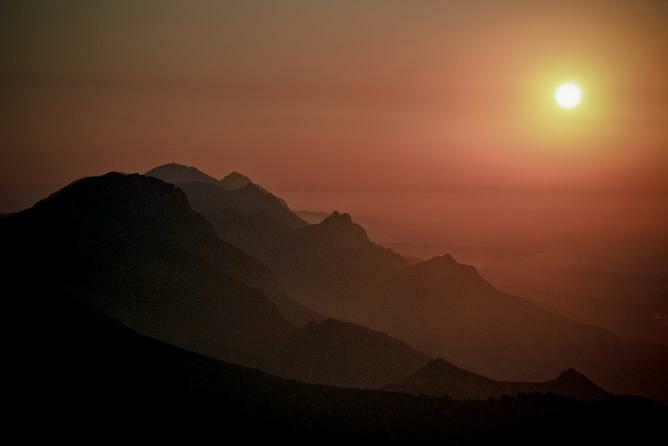 From beautiful beaches to glorious gorges, here’s our guide to Cyprus’ natural wonders. Set in the heart of the wild and rugged Akamas Peninsula, the path leading to Avakas Gorge is a brilliant showcase of the island’s diverse range of flora and fauna. The main attraction here is undoubtedly the peculiar stone which lies trapped between the towering curves of the surrounding stone walls. The ridges of the walls reflect light differently depending on the season and the time of day, meaning the chalky walls charmingly appear slightly altered in color throughout the year. Accessible primarily via a nature trail, the pathway here also provides an opportunity to see the endangered plant Centauria Akamantis, a beautiful species which is endemic to the area. 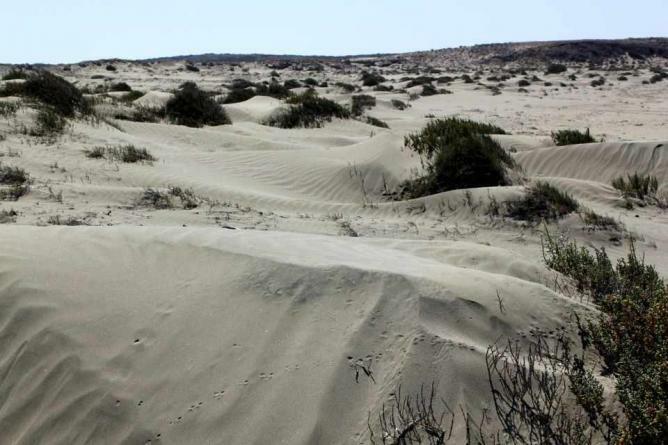 These distinctively grey sand dunes are truly one of the most unknown and beautiful natural sights in Cyprus. Their remoteness adds to their mystery, and they are sheltered within the secluded British bases of the island. The sand dunes are close to the southernmost tip of the Akrotiri peninsula and are accessible to the public only via a sketchy dirt road. And the unusual grey color of the sand here is what makes the dunes particularly unique. Shadows created by the dunes form a dreamlike setting, dissimilar to anything else visitors will see in the region. The lack of human settlements and the vast amounts of soft, silky and undisturbed sand here also makes it a popular nesting spot for turtles. A popular local legend claims that the two lakes of Cyprus, Limassol and Larnaca, were formed when St Lazarus’ requests for food and drink were denied by a local woman; her actions were so angering that Lazarus allegedly turned the woman’s vineyards into salt lakes. In the winter months here the lakes retain water, and they play host to an abundance of pretty flamingos who stop over during their migratory journey through Europe. The water dries up during the summer, leaving behind a dry and barren looking environment primarily composed of salt crystals. A nearby site of interest is the famous holy mosque Hala Sultan Tekke, a spectacle which provides a striking backdrop for those seeking to photograph the flamingos. The deep and cool waters of the Adonis Baths are ideal for swimming in, and they feature a large, glassy pool and a cascading turquoise waterfall. Those brave enough can swing into the pool from the overhanging trees idyllically lining the water’s edge, and the superb and unique color of the water comes from the reflections of the surrounding, lush greenery. The falls are rumored to be the birthplace of many of Aphrodite and Adonis’s children, and a traditional house museum is located on-site, offering guests a plethora of information about the area’s rich history. Cape Greco is a stunning Cypriot national park which is home to numerous sea caves and remarkable rock formations. 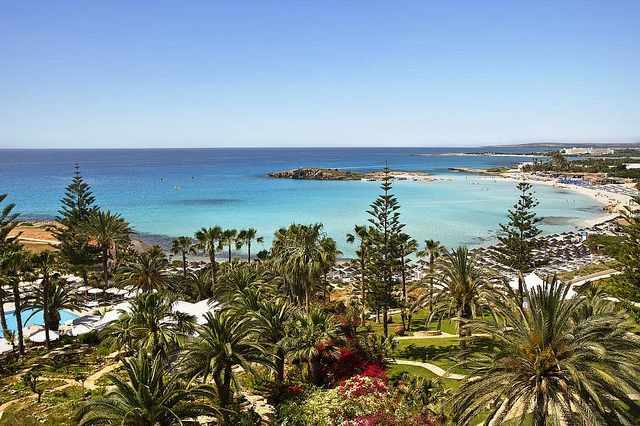 Located between Agia Napa and Protaras, the site is also characterized by crystal, aqua waters. The nearby rocks make great locations for diving and, as the area is so breathtaking, it is also an extremely popular destination for wedding photographs. Two natural, free-standing rock bridges can be seen here, perfect existing examples of how the soft rocks have been molded by waves over the years. Boat tours are available for tours of the caves, or alternatively the site can be accessed by car. A lush and verdant pine forest, this is an idyllic space which is home to a beautiful array of the indigenous Cypriot cedar. The tree is a close relative of the more common Lebanese Cedar, and the arrangement of the trees here appears to be so perfect that it is hard to believe it occurred naturally. A hiking trail and picnic area are available onsite, both offering great views of the valley. 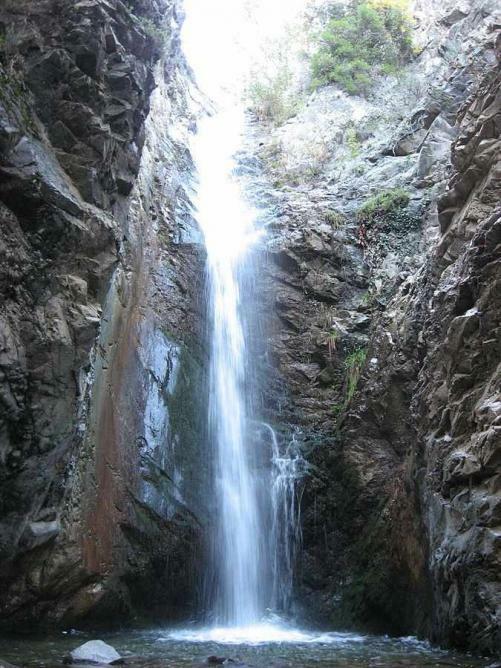 The Millomeri Waterfalls are the largest cascades in Cyprus, with an astonishing water drop of 15 meters. They are easily accessible through the majestic Troodos Mountains, and are an unmissable site for nature-loving travelers; the curves in the rock made by the water here are sleek and astounding. Renowned as the birthplace of Aphrodite, the Greek goddess of beauty and sexuality, local legend states that on occasion her silhouette can be seen when the foams of waves crash upon this rock. The site is famous for its crystal clear waters, and you guessed it, those who swim around the rock are believed to be subsequently blessed with eternal beauty. Although there is only a pebble beach here, the lack of sand doesn’t hinder the beauty of the area, and the combination of the stunning natural scenery with a mythological context makes the site a must-see for visitors. 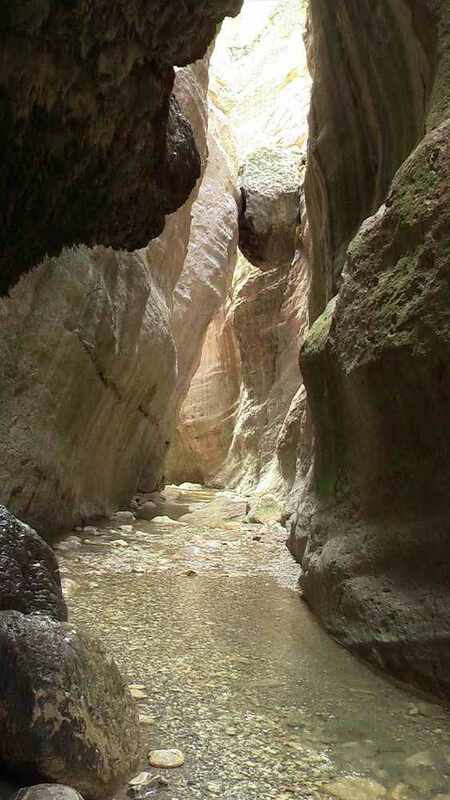 Head east from Limassol to discover a vast and unfamiliar natural landscape. 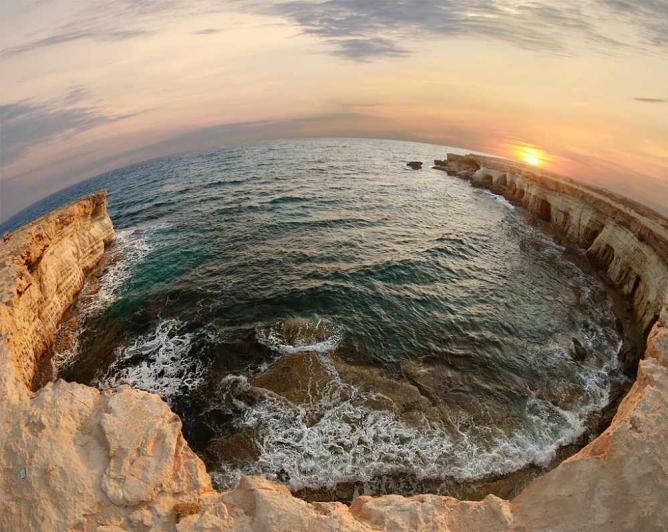 With an appearance similar to that of giant meringues, these white cliffs claim an impressive expanse of approximately eight kilometers of the Limassol district coastline. The rocks here have been eroded by the ocean to form a stunning complex of cliffs and caves, ideal for geology enthusiasts and explorers alike. As the area is relatively unknown even among locals, nudists frequent the low-lying rocks regularly, so be prepared for some accidental and surprising sights! Despite Nissi beach’s reputation as a stretch of sand which never sleeps, its natural beauty is undeniable. Arguably the best beach in Europe, a large curve of white sand creates a cove of beautifully clear and shallow waters here, and remarkably, when the tide is low in winter and spring, a secret sand walkway is unveiled from beneath the water, a path leading to the small island of Nissi from which the beach takes its name. The walkway makes it possible to cross over to the island which is inhabited by small shrubs and pretty plants.